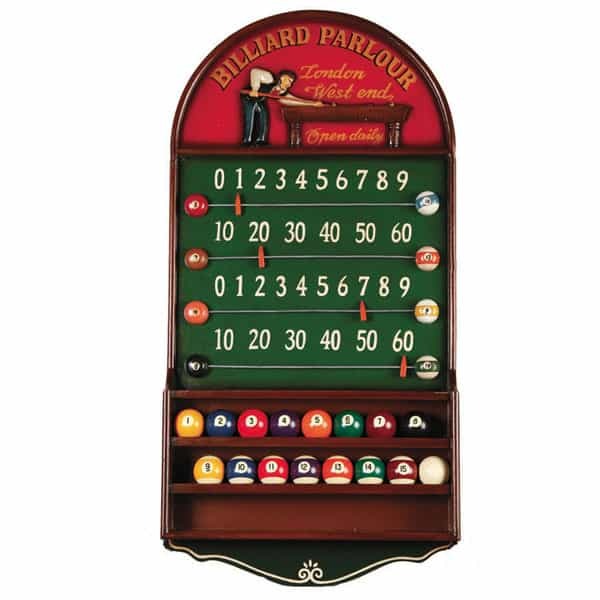 The perfect old-school scoreboard and billiard ball holder for your game room or man cave, the Billiard Parlour Scoreboard & Ball Holder from R.A.M. Game Room Products brings the look of old-time London pool halls to your home. The artwork features an old-fashioned theme that welcomes all guests, or "new members", to your private pool hall, man cave or game room den. Dimensions:H-38" x W-19" x D-3"